Have you ever heard someone – and in my experience it is rarely a person with an indigenous background, upbringing and understanding – say something about living in ways that honor the seventh generation? Me, I’ve lost count. And I say with great compassion, that in my experience the majority of these people are usually mouthing a phrase they really do not understand. It’s a phrase I used for many years without any true understanding. I would say things like: We need to consider how this decision will impact people seven generations from now! And in so saying, I’d think that I had made a comprehensible statement capable of creating change when I saw heads nodding around me. Rarely did I, or the people with whom I was speaking, have even the vaguest idea of how something we were doing now would impact someone 140 years from now, or have the slightest notion of what an effective way of changing our actions would be. The idea of the seventh generation sounded good, but did not really have much traction when it came to the way I live my life. Then in the early 1990s I encountered the work of a woman who would later become a personal teacher to me for a very brief time, ah, far too brief a time – Paula Underwood – would that she was not called so soon from this world! Paula was a wisdom keeper. A living link to a past that stretches back over 10,000 years and is remembered and celebrated in story and song. Paula taught that indigenous people are careful observers of the world and of life – after all, if your very survival depends on distinguishing between two plants that look almost identical, one of which is a healing plant and the other a deadly poison, your powers of observation become highly refined. This kind of knowledge is kept alive in the culture by being passed along carefully from generation to generation, being handed only to those who show aptitude for such stewardship. One of the things that indigenous people observed was the cycle of life – in spite of our contemporary ideas that before the advent of modern medicine no one lived past the age of 40 – it was not unusual for Elders to live into their 60s, 70s, 80s or even longer – take a look sometime at the photos of Indian Elders that were taken in the late 1800s. It was noticed that regardless of the time described in their stories (history) there were always Seven Generations Alive and Walking Through Time. Seven Generations who are responsible for the creation of The Stories That Are The People. It was noticed that a person blessed with a long life would actually move through each of these generational stages – entering the circle as a great-grandchild would come around to be completed as the experience of being a great-grandparent before exiting it to become an ancestor – who were also included in decision making processes. The Seven Generations Walk Together Through Time and their care for each other and the world is what generates the road they walk upon. 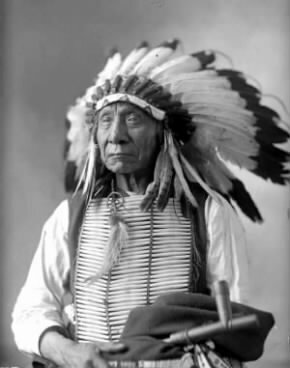 As a result of this noticing, a core tenant and competency of life in the indigenous world was that any decision which might impact the lives of The People would be looked at and considered from the perspectives of the Seven Generations Who Walk Through Time – the very old, the very young, those in the middle, those who had passed from this world, those who were waiting to come in, and on the world itself – for the world is infused with the energy of aliveness. Seems to me this is an incredibly valuable piece of wisdom. What shifts in our leadership and decision making when we begin to view the world as filled with the energy of aliveness? What changes in our daily lives when we start to ask questions about how this decision or that action impacts the very old or the very young? How do our individual and collective actions and practices honor those who have come before, upon whose shoulders we stand? And, how do they make way and prepare an hospitable space for those who will follow after, who will one day be standing upon our shoulders? What changes in our relationship to things like oil and plastic and nuclear waste when we think of what life will be like as a result of our actions today for the Seven Generations will will Walk the Earth 10,000 or even 100,000 years from now? What moves inside of us and inside of our families, our colleagues, our communities, and our governments, when we begin to ask questions about how we can effectively live up to and into our individual and collective responsibility for the care and stewardship of the ongoing presence of Seven Generations Walking Together Through Time? What is the road we are building now? Will it bear the weight of The Seven Generations? Can we really build a sustainable civilization without looking at the world through such a lens? How do these questions and ideas strike you? Does anything awaken in the reading of them? What might you do differently as a result of entertaining them? Excellent post, I think you have summarized the meaning of this phrase beautifully. The question is, can we get contemporary Western oriented cultures to think this way? Western culture is linear, oriented to the future or the past, and it is extremely hard for someone with this epistemological upbringing to think in a way that might begin to capture what the “seven generations” is really implying. But I guess it is our responsibility to try as well. It is extremely difficult to change the habits of mind and the thinking of a people who operate out of a linear orientation. And whose epistemological frame is one of being an individual whose life and actions are divorced from those of peoples in the distant past or future. And I do see it changing. The work as I see it, is not to change the thinking that precedes our actions, but to shift the center out of which our thinking arises, so that our actions are more harmonious for ourselves, each other and the Seven Generations Who Walk Through Time Together. I found your post while searching for information during a writing session that I had this morning after having a conversation with my cousin. Thank you for writing what you did. I feel very lonely at times. When I try to discuss these things with my family and friends their eyes glaze over and they say “uh-huh” a lot and nod their heads, if they will let me discuss it at all. Here is what I was writing. I apologize if it is inapropriate to leave such a long responce but I have never been here before and I don’t know how else to be sure that you will read this. I hope that it is well recieved. Humankind has come a long way. Our intelligence and span of possibilities has greatly increased. We have done well. We have brought to pass inventions whose functions have been desired and dreamed about for thousands of years. We have grown into monstrous organizations, becoming extremely efficient at working together in production. You may look around the room and see all of the things that you have that you didn’t have to make or know how to create, they have appeared in the world like magic, one creation inspiring the next and we may posses them by giving our time to the machine that produces all of these things. It is very wonderous and incredible. We have become very intelligent as a whole, but are we using it for the ultimate good? Is the machine one of wisdom or folly? Have we become more sober or more intoxicated? Are we participating in a production or destruction? Surely we have seen what we can accomplish together, but are we seeing what we are doing together? What will become of all of your toys and luxuries? How many billion cars are there in the world? How many boats? How many televisions? How many planes? What will become of them all? They come to pass as all things do. Where are we going to put it all? Where are we going to put the batteries and plastics and rubbers and oils? Furthermore, how much pollution is produced by manufacturing and distributing all of these things? How many tons of trash do I create in my lifetime? In how many ways are we poisoning the earth? This pollution and garbage never leaves, it remains, and it becomes the things we eat and thus becomes our very bodies. We wonder at the cause of cancer and HIV and other various diseases that have come. We are the cause. We are poisoning the earth, which includes our physical bodies. And it is escalating. There are 7 billion people on the planet, how many people will there be in a hundred years? What have we done? What are we doing? It seems that most people don’t ever give a second thought to the consequences of each and every thing that they do every moment of every day. By participating in this social-industrial machine, what is the outcome? It ultimately becomes the responsibility of each individual to make the right decisions for himself, regardless of the decisions of others. Truth and correctness must spread through example; they will not come all at once. It is a progress that has been going on for trillions of years. But even now in daily life, what are we getting for what we are giving up? The people who are losing their homes in the Midwest right now and in China and other parts of the world to natural disasters are learning before death that all things are temporary and we have no claim or right to the possession of anything. All things come to pass, including our lives on this earth. I am saddened to know that most of those people spent the vast majority of their waking life on this earth, sleepwalking through their daily routine in their quest for their possessions. Most of them spent most of their lives away from their families and the people that they love in order to acquire the provisions which our mother offers freely in love. They spend most of their time doing something they would rather not be doing, in essence to buy things that are free, and in so doing they create needless trash that poisons themselves and their posterity. It poisons the planet and the poisoning of the planet is the poisoning of all life as we know it. We could be spending our days producing and eating good food with the people that we love. We could be creating and exploring this world enjoying the free flow of life in this sacred vision of our own enactment. But to live in a truly free world, you must accept that there will be no mass production of anything but food and possibly clothing and that all will help in those productions. It is a world where your daily life is not a routine of frustration and problems that are drawing to a swift and deadly close, but a world of joy and love with all of life and creation where we all work together with those whom we enjoy and chose to travel through time with. If all of their lessons in eternity have not taught them true action and righteousness, time surely will. And time moves swiftly.